Republican Brian Kemp and Democrat Stacey Abrams face off in the race to become Georgia’s next governor. The election is Nov. 6 2018. Registration deadline is Oct. 9, 2018. Register online before Oct. 9 here. There will be voter education opportunities for current voters and for children (i.e. future voters). You are invited for civic engagement about becoming a more informed voter with lots of kid-friendly activities, refreshments & door prizes, 10AM-2PM. Facepainting (Saturday only), kids’ crafts & booth visitations available all day. 10AM: Doors open/greeting & brief overview of voter registration office. 11AM: Story time/reading Dr. Seuss’ “One Vote, Two Votes, You Vote, I Vote! 10:30AM: Story time/reading Dr. Seuss’ “One Vote, Two Votes, You Vote, I Vote! For more info, call 912-790-1520. Prior to Election Day – confirm your registration and poll location by calling Voter Registration at (912) 790-1520 or use the My Voter Page website at www.mvp.sos.ga.gov. Learn more about the candidates? Check out Voters Guide at lwvcga.org. 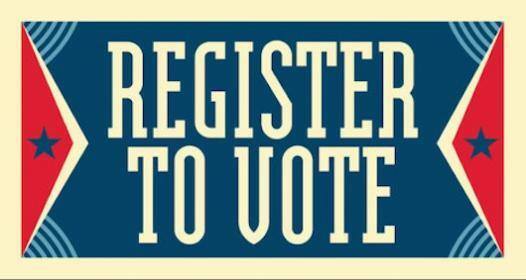 Oct. 9: Deadline to register to vote. This entry was posted on Wednesday, September 12th, 2018 at 11:23 pm	and is filed under Uncategorized. You can follow any responses to this entry through the RSS 2.0 feed. Both comments and pings are currently closed.